We provide home health services to the entire Central Texas region, and our staff is based in one of three office locations: Austin, Marble Falls or San Antonio. You can sort staff members below by clicking on the location or work function. 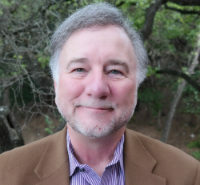 Jerry Shults is a native Texan with an economics degree from Texas A&M University in College Station. 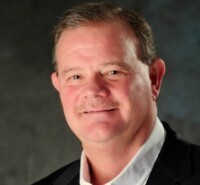 Jerry served on his hometown City Council of League City for two years and then served as the mayor of League City, a Texas town of 76,000 citizens, from 2005 to 2008. He has founded, grown and sold three successful businesses and has been involved in medical management and consulting since 1997. Taylor has been with Capitol Home Health since its inception. 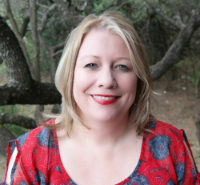 She has a government degree from the University of Texas and has been an Austin resident for more than 10 years. 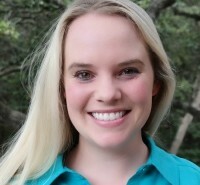 Kelsey joined Capitol Home Health after her graduation in 2011 from the University of Houston with a Law Degree. 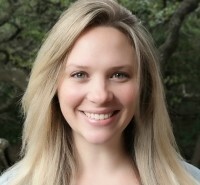 She is also a Longhorn and graduated from the University of Texas in 2006 with a degree in Psychology. Spencer Shults joined the family business in January 2014 and moved to Austin from League City, Texas! He brings 3 years of marketing experience from Monster Energy with him and graduated with a Bachelors in Communication from UTSA in 2010. Outside of work, Spencer likes to stay active, play golf and hunt. Janie Shults is retired after 30 years in education. 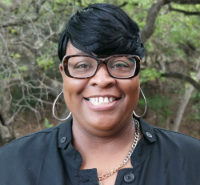 She received an undergraduate degree from Texas A&M and her graduate degree in administration from Lamar. She is thrilled to be working with her family in the beautiful Austin area. Alaira is born and raised in Austin, TX. 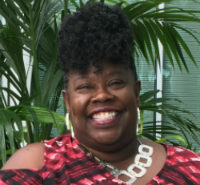 She graduated from Everest Institute with a certification in Medical and Billing Administration and has several years of administrative experience. Outside of work Alaira enjoys spending time outdoors with her daughter and taking walks. 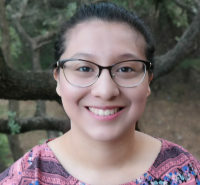 Alma graduated from Hemann Vocational School of Nursing in Houston, Texas and then moved back to San Antonio, Texas to pursue her nursing career in her home town. She’s been working with CHH since mid 2017 and is so proud to be working for such a great/caring Home Health Agency. 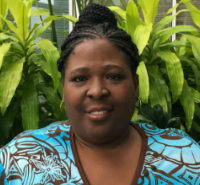 Anita comes to Capitol Home Health from the great state of Louisiana, having moved to Austin in 2015. She’s been in the nursing field for over 15 years and in home health for the last 5 years. When Anita isn’t working she enjoys reading and spending quality time with her family. Anna enjoys spending time with her family and friends, live music and watching her kids and their friends/family compete in sports when she isn’t working. 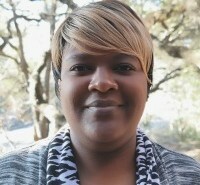 Brittany joined Capitol Home Health in February 2015 after moving to San Antonio from Kentucky. She graduated from Eastern Kentucky University with a Bachelors in Health Science and brings over 9 years experience in the health field and office management. Brittany enjoys all things that have to do with her being outside whenever she’s not working. 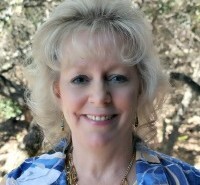 Carolyn is from Houston and has been in the Austin area since 1980. She received a BA in Psychology from the University of Texas at Austin, and has a background in Special Education and Property Management. Carolyn brings over 20 years administrative experience and over 5 years home health scheduling experience to Capitol Home Health. When not at work, Carolyn likes to spend time with her family; she is married, has a son going to college and a daughter graduating from high school this year. Cathy graduated from Kent State University in 1983 as a Registered Nurse. Her career has primarily been in the Rehab and Home Health arena. She enjoys gardening and spending time with her three sons and 2 grandchildren with another on the way. Crystal started in the health care field after volunteering at a local hospital one summer and seeing how hard it was for patients that didn’t have family to help. She has 12 years experience in the medical field as a CNA and has worked in administration for the past 8 years with SNFs, ALFs and PAS companies. When Crystal is not working, she spends her time with her family and has been told by friends and family that she is a positive person! 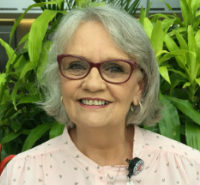 Daphne has been an RN for over 30 years graduating for Texas Woman’s University and in home health for over 22 years. She has certifications from Board of Medical Specialty Coding and Compliance in HCS-DIAGNOSIS, and HCS-OASIS. She has 3 wonderful sons, and in her off hours she enjoys spending time with them at the movies and traveling. 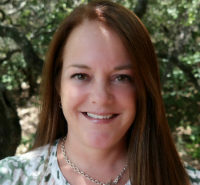 Dawn graduated from the University of Texas Health Science Center at San Antonio with her Doctorate of Physical Therapy in 2011. She started working with CHH in November of 2014 and brought with her a year of Home Health experience and several years of Orthopedic experience. Dawn is a veteran of the US Army and has a beautiful family: 1 husband, 2 sweet little girls, and a boy on the way! DeDe Payne is a St. Edward’s alumni who joined the Capitol team in late 2014. Since then, hers is the first voice you hear when you give our Austin offices a call – perhaps you two have already spoken? 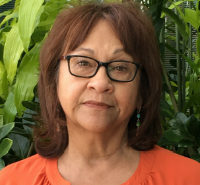 DeDe is a native El Pasoan, but is happy to have made Austin her home away from home. When she’s not working, DeDe enjoys spending time with her cat and attempting to get the high score on the arcade classic, Galaga. Edna received her nursing diploma from Baptist School of Nursing and has been in the home health industry since 2003. 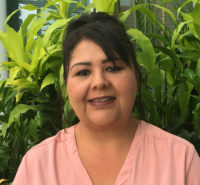 She recently joined the Capitol Home Health Team and is very happy and proud to work for such a great and caring company. In her spare time, Edna likes to listen to music, read and loves gardening. Erin joined Capitol Home Health in early 2015 with over five years experience in event coordinating and promotion. 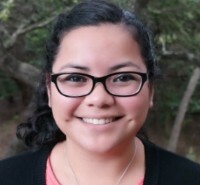 She is from South Padre Island, TX and has a BA in Criminal Justice, but found her passion in life is working more directly with people and creating memories. 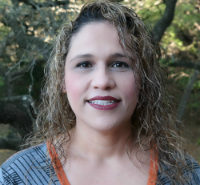 Florinda Camacho has worked in Home Health since 1994 and she was born and raised in San Antonio, Texas. In her free time, Florinda loves to spend time with her grandbabies. Gina M. Glasper graduated from the University of Houston with a B.A. in Communication Sciences and Disorders in 2005 and a M.A. in 2008. 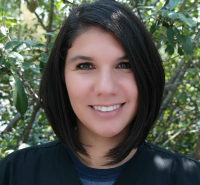 She has practiced in Speech-Language Pathology since 2005 in both Houston, TX and Austin, TX. 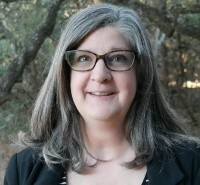 She has experience and training in disorders affecting both pediatrics and adults, including dysphagia, cognitive-communication disorders, developmental delays, voice disorders, and aphasia. Gina is certified in Vital Stim(R) Therapy and Lee Silverman Voice Treatment (LSVT)(R) LOUD. She enjoys spending time with her babies when she’s not working. Grace has been working in home health since 1992 as field nurse, director of professional services, administrator and a clinical supervisor. She has been married for 41 years with 4 daughters, 3 granddaughters and 4 8/9 grandsons. Grace’s home is in San Saba county, but grew up in the San Antonio area which is her favorite place to be. She has been with Capitol for 1 year and believes that it’s the best agency that she’s worked with! She loves that Capitol works hard, but laughs hard too. 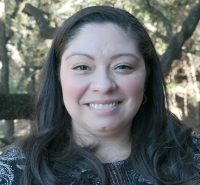 Graciela is a Human Resources Assistant for Capitol Health Management. In this role, she works with a team providing expertise in the human resources department’s systems. She plans to further her education and professional affiliation in Human Resources in the years to come. 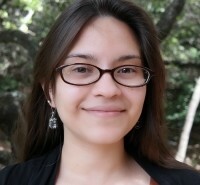 Graciela is born and raised in Austin, TX. When not working and in school, Graciela enjoys playing the piano, Netflix, and spending time with family & friends. Isabel came to the United States in 1988 from Brazil seeking a better life. She was lucky enough to find a great family with Dr. James Poe, who opened their house and arms to support her. Isabel has been in health care for 19 years with 13 of those years in marketing. Isabel lives life to the fullest after having fought breast cancer twice. She believes she is a lucky woman to be alive and is proud to be an American citizen! 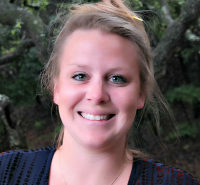 Jamie was born in West Point, New York, however, she considers San Antonio home. She has been a nurse for over 35 + years, was an LVN for 15 years and has 13 years experience as a Home Health Clinical Supervisor. 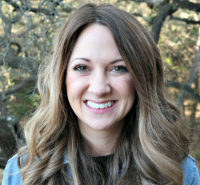 Before Jamie returned to school for her ADN at St. Philips College, she received her BSN from University of Texas in Arlington. When Jamie is not working she enjoys spending time with her family and loves to travel and work in the garden. Janel graduated from LSU with a degree in advertising. She has a background in media sales as well as marketing for a senior living community. Janel is passionate about her philanthropy work and volunteering around the community. When she is not at work or volunteering, Janel enjoys spending time with her family and friends. Jay has worked in the IT field for 10 years. New to Austin, he likes to explore the city when he’s not at work. Jeff brings a fresh and invigorating view to the role Human Resources functions can play in driving organizational success. 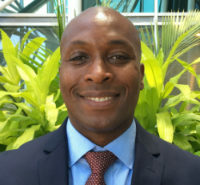 His twenty plus years of experience in Human Resources and other areas includes experience at the senior leadership and officer levels predominately in Healthcare and Technology companies. Jeff holds Bachelor’s and Master’s degrees in Industrial and Organization Psychology. 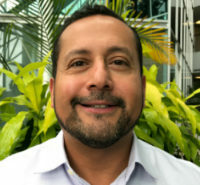 He has the Senior Professional in Human Resources (SPHR) certification and the Senior Certified Professional (SCP) designation from the Society for Human Resources. 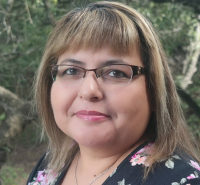 San Juanita Alonso was born in San Antonio, but raised in Laredo, TX. She has been in home health for over 12 years. Outside of work, Janie enjoys quality time with her family and traveling. John was born and raised in San Antonio, TX. 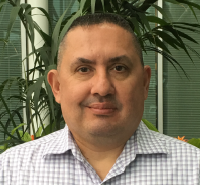 He brings 15 years of home care experience to Capitol, considers himself to be a top sales achiever and looks forward to the team’s growth and success. John enjoys spending free time with his loving wife, Maria, and their beautiful daughter, Ava. He also enjoys team camaraderie workouts such as CrossFit. 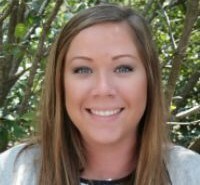 Kara is a graduate of Texas Tech University who joined Capitol in January 2016. She grew up in West Texas and moved to Austin in 1994. During her spare time, Kara enjoys spending time with her husband and three beautiful daughters. She also enjoys going to the movies and playing sports, especially volleyball. Kirby graduated from the Texarkana Community College RN Program in 2008. She fell into geriatric home health quite by accident 9 years ago when she was asked to make a few PRN visits, but quickly fell in love with the specialty. She has worked closely with many industry leaders in coding and quality assurance and is thrilled to be a part of the Capitol Home Health team. 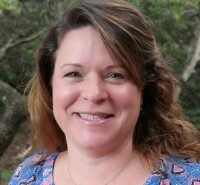 In her spare time, Kirby enjoys gardening, raising chickens, and playing with her daughter, Ella Kate, and their Westie, Tex. She is also an active member of the Atlanta Education Foundation Board of Directors, where she serves as Special Events Coordinator. She and her husband, Ryan, enjoy travelling, attending concerts, and hosting friends and family at their farm in East Texas. Laura has spent the last 20 years working in the finance world specializing in Payroll and Full Charge Bookkeeping. She grew up in The ‘Ville, a.k.a. Stephenville, Texas; as one of seven children. In her free time she enjoys caveman training and any outdoor activity, however; her favorite pastime is sitting on a patio listening to all the different genres of live music that Austin has to offer. Her greatest joy is being the Mom to her two amazing and beautiful children. Lisa was born in San Antonio, has been living near Houston for the past 14 years and is so happy to be relocated back to the SA area. She has been an RN for 25 years. Her nursing career began as a Nurse Aide and once she completed nursing school she went into ICU for 2 years where she gained valuable critical thinking and problem solving skills. 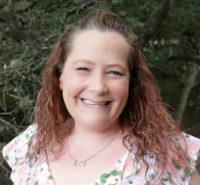 Lisa has been in Home Health for a total of 12 years, starting as a field nurse in the Kerrville area and then working her way up to a Regional Director of Operations position. In addition to ICU and Home Health, Lisa spent 11 years in post acute care and long term care settings as Director of Nursing. Her passions aside from Nursing are her very large family (especially her 2 daughters, her spouse, Bryan of 14 years, and their 3 Pit Bulls, a Poodle and a Shih tzu)! They have been long time animal rescuers, having as many as 15 dogs one time – yes, they live in the country! Lisa is so excited to be a part of Capitol! She loves the warm welcome, the family yet professional atmosphere and looks forward to a long career here! 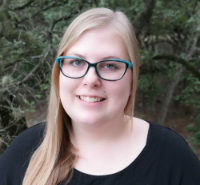 Maggie graduated from Texas State University-San Marcos in 2012 with a BA in English and a minor in History. She is originally from Midland but has lived in College Station, San Marcos, and has ultimately called Austin her permanent home since 2009. Outside of work she enjoys film, reading, home improvement, and spending time with her two dogs, Lola and Lucy. Marc lives in La Vernia, Texas and has been in home health care for over 20 years. Outside of work he enjoys being with his adopted grandson, Izaiah, and family. 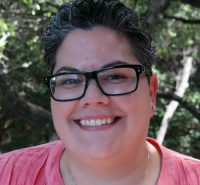 Mariann moved to Austin in late May 2017 and started with CHH the following day. 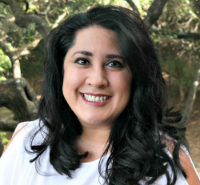 Although new to home health, Mariann brings over 10+ years’ experience in management along with working with Medicare. She is looking for longevity in the medical field and excited to have joined CHH. Whenever she has time off, she loves spending time with her family! 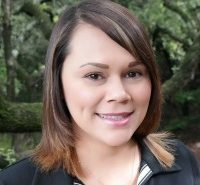 Melanie is born and raised in Austin, TX and brings to Capitol over 15 years of Administrative and Client Services Coordinating experience. When she is not working, Melanie enjoys spending time with family and friends. 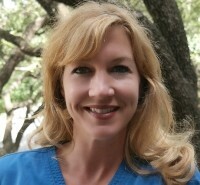 Melisa Arnette graduated from the University of Texas Health Science Center with a BA in Physical Therapy in 1992. Currently, she is completing her doctorate in Physical Therapy from Incarnate Word University in San Antonio. She has extensive orthopedic experience and training including sports medicine, occupational health and wellness, joint replacements, and the Mckenzie approach. 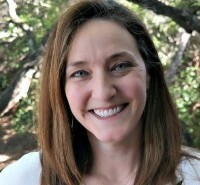 She stays busy with her active family of four in South Austin. 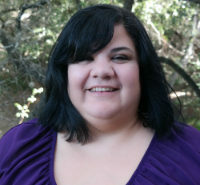 Melisa is originally from New Orleans, LA and moved to the Austin area after Hurricane Katrina. She has been a nurse for 23 years and in home health for the past 6 years. Melisa has 2 grown children and 2 little grandsons. In her free time, she and her husband like road trips, trying new restaurants, music and spending time with family. Also, Melisa is always looking for a good book! Nora graduated in 2011 from Southern Careers Institute as a Medical Biller and Coder. 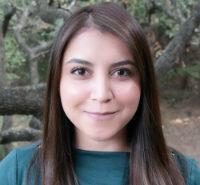 She was born in Mexico, moved to the United States as a teenager and has called Austin home for over 23 years. She enjoys cooking and spending time with her family. 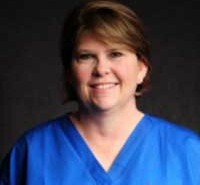 Rachel Stone has been an RN since 2005 with specialties in Medical, Cardiac, Trauma Critical Care, Intermediate Care and Travel Nursing. 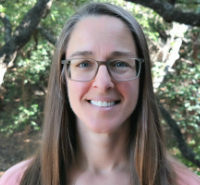 In addition to her nursing degree, Rachel graduated from the University of Texas with degrees in English and Psychology. 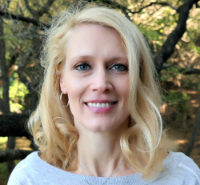 She has lived in Austin since 1995 and keeps busy with her two kids, Ginger and Jasper, in SW Austin. 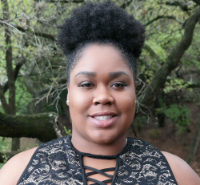 Rachelle relocated to Austin from Raleigh, North Carolina in 2015 looking for new opportunities after graduating from Campbell University with her B.S. in Biology. She has been working in HR for 2 years, and joined CHH in 2017 to get back into the healthcare industry. She enjoys creating a fun and positive work culture for employees. When she is not working, she loves to explore Austin’s diverse cuisine options and outdoor activities, going to the movies, practicing aerial arts and yoga, traveling and spending time with friends! 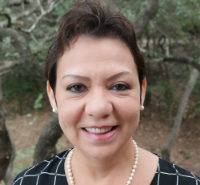 Ramona has worked in home health since 1994 and lived in San Antonio, Texas her whole life. In her free time, she enjoys painting, photography, and spending time with her family. She’s a grandmother of 4, loves to volunteer at her church and is very involved in her daughters sport activities. Ramona is a big Wonder Woman fan and enjoys a nice glass of moscato wine whenever she has a chance to relax. 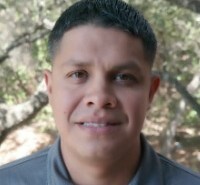 Roy is originally from South Texas, but considers San Antonio home after spending 20 years active duty in the USAF. He brings over 30 years of experience in the wound care and hyperbaric field. In his spare time, Roy enjoys spending time with family, woodworking, supporting his sports teams (Spurs, Aggies and Nittany Lions). 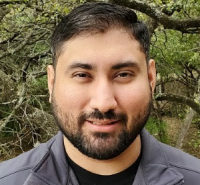 Sergio graduated from the University of Texas at San Antonio with a business degree and has 10 years of business development experience in the healthcare industry. 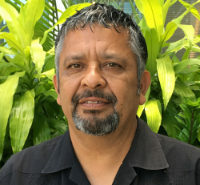 Sergio was born in Houston and raised in both Monterrey, Mexico, and Houston before moving to San Antonio in 1999. Sergio loves to be greatly involved in the lives of his three children and takes great pride in being a family man. 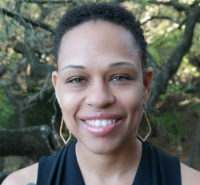 Shala moved to Austin, Texas in 2004. She has a Sociology Degree from the University of Northern Colorado and a Digital Design Degree from the Arts Institute, Pennsylvania. When not working, she enjoys time with her family, Dana and son Elijah and their 3 animals. She also enjoys and traveling all over Texas and the surrounding area. 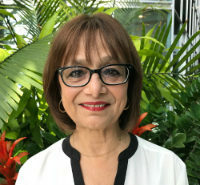 She brings with her 20 years of experience as a Administrative Consultant in the Telecom Industry, REALTORS Association and most recently a Board Liaison for CommUnityCare. 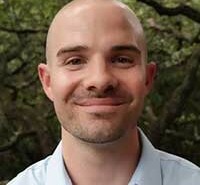 Shaun grew up in Alabama and moved to San Antonio in early 2018. He is new to home health, but has an extensive background in medical sales. Shaun enjoys watching movies, reading, traveling, swimming, working out and helping others when his schedule allows it. 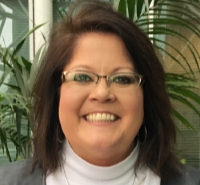 Sheree was born and raised in Milwaukee, WI has worked in the health care field both as a Payroll Specialist and as a Business Office Manager for over 17 years. She is currently pursuing her Bachelor’s degree in Health Care Administration with a minor in Gerontology. 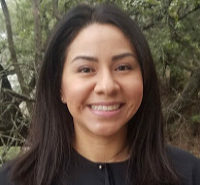 Sheree recently moved to Austin, Texas in April of 2018, to join the Capitol Team in the Finance Department. When Sheree is not working or studying, she enjoys shopping, watching Law and Order SUV; but most importantly she enjoys exploring Texas. 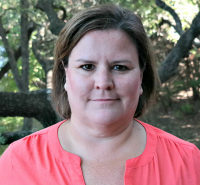 Stephenie moved to San Antonio from Houma, Louisiana in July 2017 when her husband took a new job. She is a graduate from Nicholls State University with a B.S. in Family, Child and Social Services. Stephenie also has a Master’s Degree in Health Care Management has work in home health for 8 years. Stephenie has four children and loves watching all sports, but especially the New Orleans Saints and LSU Tigers. 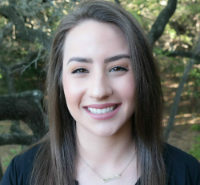 Taylor was raised in Austin and graduated in 2016 from Southern Careers Institute with a Medical Billing & Coding certificate. When she is not working she enjoys spending time with her family, going to the movies, and discovering new fun things to do throughout Austin.